There are plenty of reasons to be a police officer, both tangible and intangible. Just like any other career, though, the time may come when an officer decides to move on. Whether they spend a year or a lifetime working as a police officer, finding a new job or a new career can be challenging. To overcome these difficulties, officers should take a moment to reflect on how you can find a job after working in law enforcement. Before contemplating a new career, former officers should take an inventory of the skills they've acquired during their law enforcement careers. Look for areas that will translate well into civilian careers. There's a relatively pervasive perception that law enforcement officers utilize knowledge, skills, and abilities that are unique to the profession. Nothing could be further from the truth. All too often, police officers underestimate their sales skills. Think about it, though. Officers sell things no one wants: handcuffs, court dates and traffic tickets. Even in the toughest precinct, officers don't get into altercations every day. Yet more than likely, they issue tickets or make arrests just about every shift. Law enforcement officers have a vested interest in peacefully accomplishing these tasks. They have personal reasons, such as wishing to avoid complaints; they have safety reasons, desiring to avoid getting hurt or having to hurt someone else; and they have professional reasons, as they recognize the importance of community-oriented policing and of fostering trust and respect among the citizens they serve. All of these create incentives for officers to hone their sales skill very quickly, and most become very effective at it. How many sales people do you know who can issue someone a $300 speeding ticket, just to have the recipient say "thank you" after the stop? 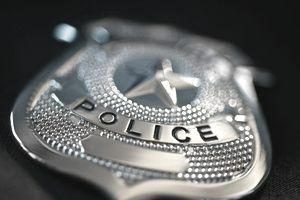 Similar to sales skills, officers must learn very quickly how to communicate with a whole range of individuals in order to be effective at their jobs. They develop vital interpersonal communication skills, including sympathy, empathy, and the art of listening. Most importantly, they learn how to communicate with people in a variety of ways and in a variety of situations. Certainly, police officers are accustomed to people doing what they tell them. Leadership, however, has far less to do with barking commands and far more to do with learning how to effectively influence other people's behavior. All officers, regardless of rank or responsibility, learn valuable leadership skills early in their careers. The concept is ingrained into them beginning with the first day at the academy, and it permeates throughout their entire careers. Few people are able to work out problems better than law enforcement officers. Due to the independent work environment, officers are often forced to get creative in solving all sorts of problems, big and small. From working around a vehicle or emergency light malfunction to providing feuding neighbors with ways to help them get along better, officers are masters at coming up with solutions. For police officers, thinking critically means survival. Law enforcement professionals have to think fast on their feet and make a snap judgment, including some that literally mean life or death either for them or a suspect. As a normal part of their day-to-day job, police must quickly and accurately assess situations and devise tactics for dealing with them. They must also be able to quickly adapt to their environments and to other people's actions. Identifying issues and developing a workable course of action is an almost hourly occurrence for police officers. By focusing on strengths and evaluating critical skills and abilities, officers who are looking to start a new career can better market themselves to private employers. The most important key is to realize that what they do, day in and day, out actually does translate into valuable and marketable job skills in almost any field. In order to overcome the perception that law enforcement skills are unique to the profession, officers who are trying to make a career change must learn to articulate exactly how their skills are a good match for potential employers. Just as there are many and more reasons to be a police officer, there are also many reasons one may tire of law enforcement. In order to make a successful transition, officers should accentuate their positive traits and make it known that they are exactly the people employers are looking for.